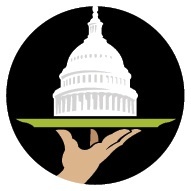 The Capitol Dish logo, used with permission. The trend of 2010 has to be the perennial “deal” sites that have popped up in town. You’ve got Living Social, Groupon, Cornerdish, So What’s the Deal, and others. Enter the Washington Post, who thinks that you’ve got room for one more in your life. They’re starting tomorrow with The Capitol Dish, a weekly newsletter email that goes out each Friday. You’ll get three special deals for restaurants, each at least half off. The inaugural deals are Kaz Sushi Bistro ($15 gets you $30 in credit), PS 7′s ($15 gets you $30 in credit) and Napoleon Bistro & Lounge ($25 gets you $50 in credit). Each week there will be three new deals, and you get until Monday to decide if you’d like one (or more), and then each deal lasts for 6 months after you buy. The email newsletter is a new direction for the Post, which, like many newspapers, is working with more and more digital content and doing more digital outreach. The Capitol Dish seeks to grab mindshare from some of the other affinity deal programs like Living Social and others, and to get readers to engage more with the Post’s existing restaurant information. In addition to the initial deals, those who purchase one of the credits will get a follow-up offer just for those who purchased that week. I have to say, there’s always room in my budget for another good deal, especially in this economy. Restaurants are just one of the many things consumers can save on by using daily deals and group-buying sites. This is great for people who want to save money. A great site to find these deals in your area is http://www.dailydealpool.com. They’ll send you a daily email with the best buys in your area, including restaurant deals.